I found the story held my interest from start to finish. The authors detail of words makes each character come to life. 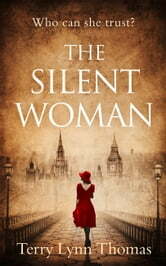 I would recommend this book to anyone who likes a light mystery in an historical setting. The story was interesting enough but lacked some details in explaining in this current book. Perhaps they are explained in further detail in the next novels? An interesting twist at the end that really threw me for a loop! 3.5 stars I enjoyed this book and I’m hoping this will become a new series. This first book was more about situational and character developments. This story occurs right before the beginning of WWII, in England. It involves espionage, secrets and a “Who done it” mystery. Catherine Carlisle is caught in a loveless marriage and feels trapped until a friend asks her to switch some of her husband’s business papers in order to confuse the Germans. A murder, accusations, spies... Catherine finds herself involved in this melange and it gives her life a purpose. It’s a good story however, I felt that it lacks authenticity and believable characters. The characters are on the “spoofy “ side of things. For this reason I would call it “My bubble gum for the brain”. The book is well written, easy to read, fast pace and enjoyable. This is the first book ofMs Thomas I have read and it was a treat. The detail and treatment of this gentle spy yarn was well rounded and kept you guessing. I was born just after the war and some visits to old aunts in the country were very like the household described. Although not so wealthy the echoes of Victorian manners were there. I look forward to reading the next in the series.